If your air filters are dirty or clogged, your furnace will have to work harder to compensate for the reduced airflow. In which case, not only can unclean air filters increase your energy consumption and power costs, but a clogged filter can also damage your furnace’s limit switch, which controls the fan. Furthermore, if your furnace continuously cycles between on and off, it may be indicative of a clogged air filter. If your thermostat isn’t working properly, you’ll probably experience some discomfort at home. Your furnace won’t heat the house as intended, and your fan might operate at inappropriate times. 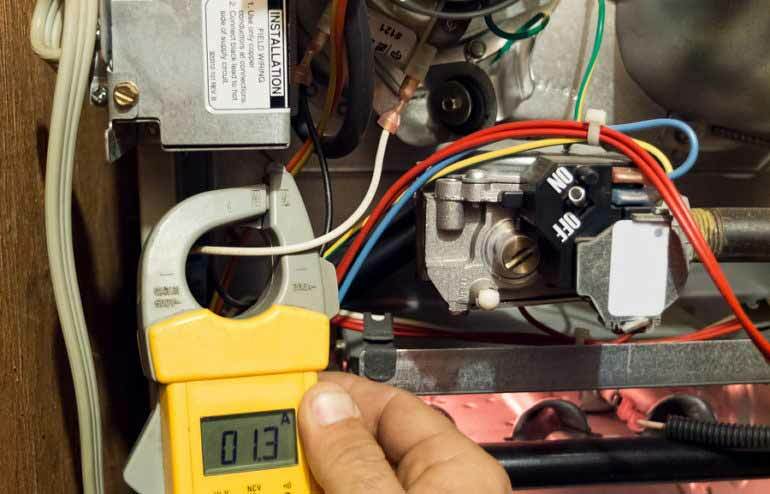 A faulty thermostat is another reason your furnace might cycle between on and off, which can require professional furnace repair services. If your pilot light isn’t working — or if your ignition is faulty — it will usually prevent your furnace from starting in the first place. Your pilot light might fail if there are drafts or clogs in your furnace, or it could be the result of thermocouple problems. We don’t know how else to explain this one. Sometimes your furnace has simply reached the end of its life cycle, and normal, everyday use has worn down its old mechanical bones. Rest easy, old friend. You did a great job. Of course, sometimes revitalizing your furnace is as simple as calling for routine furnace maintenance or quick furnace repair services. For expert 24/7 heating and air conditioning repair, call Fred’s Heating and Air in the Omaha area at 402-779-7065, or contact us online.